Travel lift for aquatic clubs is fantastic choice for customers. It never makes clients loose hope. 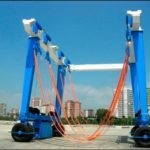 Its terse system mainly includes main structure, travelling wheel block, hoisting mechanism, steering mechanism, hydraulic transmission system, electric control system. It can transport the boat which the height surpasses its height. 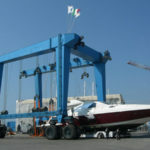 According to different needs, the boat hoist crane can handling different weight of boat or yacht from the shore side. 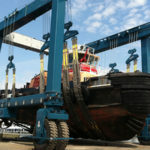 It can be used for the maintenance in yard and can put the new boat into sea. It adopts the soft and firm belt to lift the boat against surface damage. 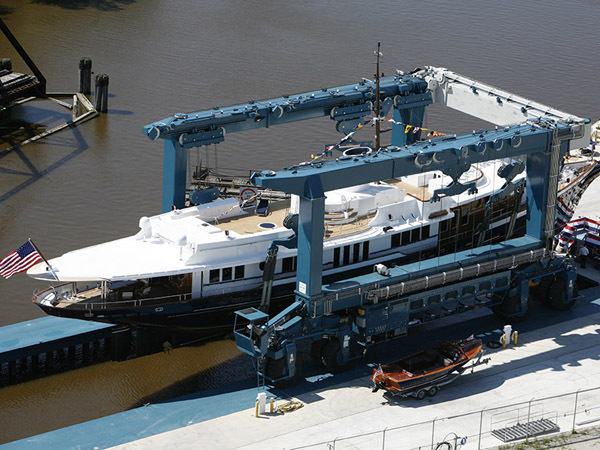 Ellsen Group, a professional and well-known travel lift manufacturer in China, supplies mobile travelling yacht gantry crane with great performance, such as factory direct sales marine travel lift, ISO approval marine travel lift, safe driving steady travel lift, remote control boat hoist, cabin control boat hoist, all-wheel steering travel lift. Ellsen also provides customized service! Customers can purchase suitable travel lift from Ellsen! 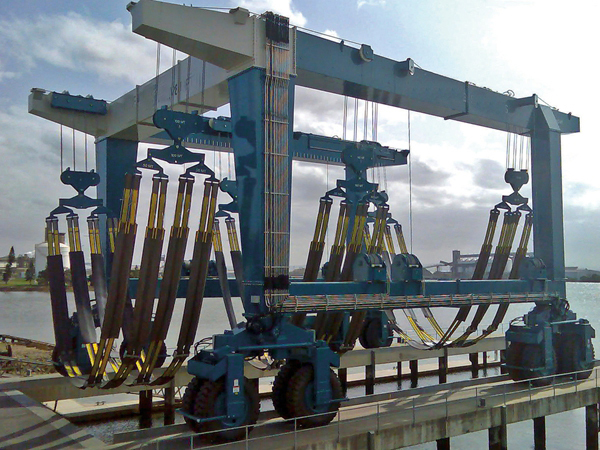 Mobile boat hoist is usually called mobile boat hauler, boat crane, and boat transfer crane or boat travel lift. 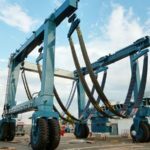 It is often used in shipyard, fishing port for the transfer of ship and vessels from dock to shipyard or warehouse and in turn, it is also used on shipyard for building of boats. It can be used for construction site to transport material. Steady performance ensures high efficiency, terse structure makes it fast install, easy maintenance and simple operation. 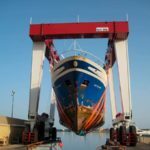 How to prolong service life of boat hoists? 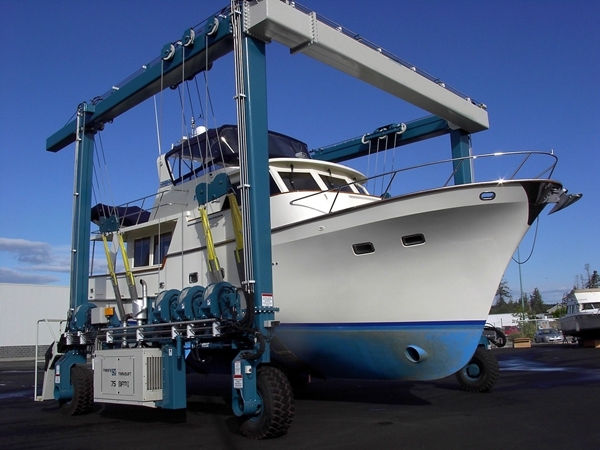 First, choose mobile boat hoist with durable material. 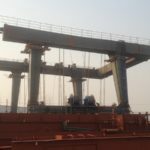 This gantry crane often touches with water, thus its material must be anti-water and anti-corrosion. Second, check travel lift regularly. Careful and regular maintenance can avoid accident and reduce failure rate. Third, operate travel lift crane according to standards. 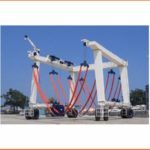 Proper operation ensures safety for crane itself and operator.